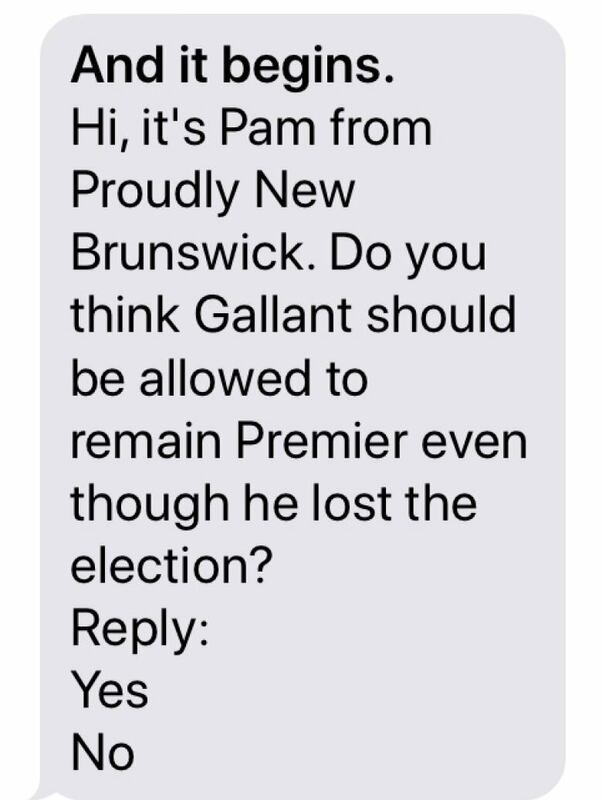 Proudly New Brunswick's automated anti-Liberal text campaign continues to stir up strong emotions from New Brunswickers. The Facebook page, which goes by New Brunswick Proud and is still active after the Sept. 24 vote, is plastered with vitriolic reaction from those who are clearly offended to get unsolicited political messages on their private cellphones. "At first, I was a little bit shocked," said 30-year-old Heidi McKillop, the director of Proudly New Brunswick, who says this is her first experience taking an activist role in politics. The former St. Thomas University social work graduate, raised in Harvey Station, now lives in Calgary, where she supports herself on a waitressing job. She said she's also financing her own documentary on the oil and gas sector, an experience that opened her eyes to what she calls misinformation about the industry. McKillop said her primary motive is to stimulate conversation in the province that she loves about how to create jobs and keep New Brunswickers at home. The expletive-loaded pushback to sending out messages using a vendor she won't identify, a budget she won't disclose and donors she won't name, hasn't scared her off. Instead, she said she intends to stay on her path, which she said it not directed by, or associated with, any political party. That includes, most recently, a digital petition that calls on Premier Brian Gallant to respect "who won the election." "Our Province doesn't need an artificial constitutional crisis due to political tricks to hang on to power," states the digital document that indicates nearly 1,700 signatures. Cybersecurity expert David Shipley said McKillop's campaign is a sign of worse things to come. "This group, I think, it was a shot across the bow," he said. "That we need to start getting ahead of, for the next election. "Because, you know, in about four years, other groups, with maybe more malicious intent or more serious issues, will use the same tactics." Elections New Brunswick said it has no rules to cover the ongoing activity because the province is outside the election period. The organization said it's directing all calls on the matter to the Canadian Radio-television and Telecommunications Commission. When asked about that, the CRTC said it does not disclose whether it has received complaints or whether it's investigating any individual or entity. 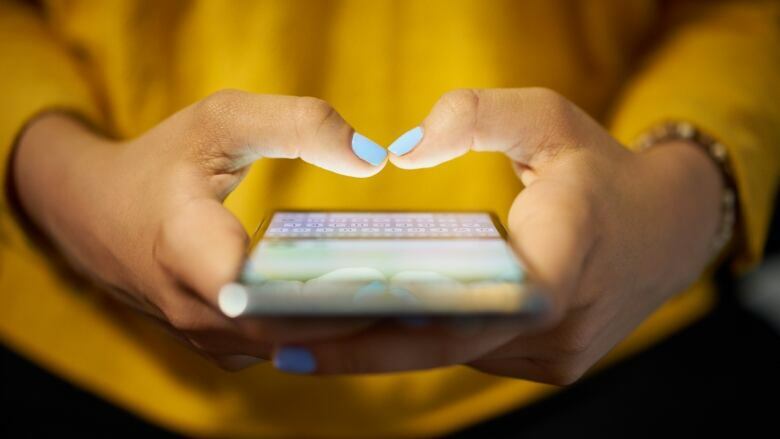 The CRTC said robocalls do not fall under Canada's anti-spam legislation, but text messages do. However, anti-spam legislation only applies to messages that are commercial in nature. There are relevant telemarketing rules that dictate when the messages can be sent — for example, between 9 a.m and 9:30 p.m. on weekdays. The call must also begin with the name or "fictitious name" of the individual making the call. Also, telemarketers must process do not call requests immediately. McKillop said her adviser is Jeff Ballingall, the founder of Ontario Proud. That group became an astonishing social media force in the last provincial election, which saw former premier Kathleen Wynne defeated by Doug Ford. By late June, the Facebook page attracted 145,000 followers — more than the Ontario Liberals, PCs and NDP combined. The following has now swelled to more than 407,000. 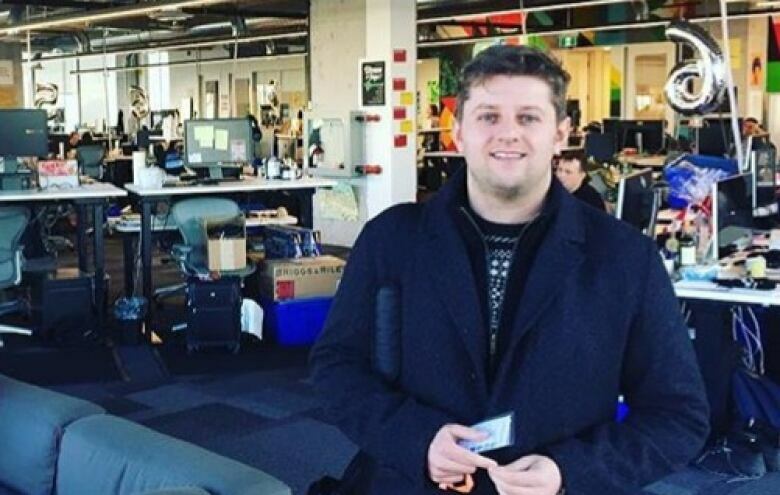 A previous CBC News report described the 31-year-old Ballingall as a former Conservative political staffer on Parliament Hill, who acknowledged being small-c conservative. "We're about fiscally responsible government, lower taxes, pro jobs, and the ability for people to have affordable lives," Ballingall told CBC New Brunswick. "It's time regular people fought back." Ballingall said he can't stop the mean and hurtful comments that erupt online. "What's divisive about what we've done?" he asked. "We're talking about debts and bills and taxes. "We're speaking against elite out-of-touch politicians who make a lot of money and don't understand the everyday concerns of people who can't afford their hydro bill or to put gas in their tank." Dusty Green described himself as a concerned citizen, increasingly wary of fringe groups that try to pass themselves off as mainstream media or unbiased news sources. He said his suspicions were triggered when he answered one of Proudly New Brunswick's recorded phone surveys after he voted in the advance poll. The 27-year-old marketing and communications worker in Fredericton said he started to do his own research, looking up Quebec Proud or "Québec Fier", Ontario Proud and B.C. Proud. "If you go between the different Proud groups, they're posting similar content," said Green. "The motivation seems to be anti-left politics. But you see common themes. There's quite a bit of anti-immigrant information that they put out there. "That all Liberals are soft on crime, bad with money, that sort of thing." Green said Proudly New Brunswick's latest tactic tries to sell the message that Gallant's bid to form a minority government is somehow illegitimate. In his opinion, it's fake news designed to provoke division. "It's a group that operates by pitting people against each other," said Green. "And I think that right now, particularly in New Brunswick, I would be really wary of any group that is trying to pit us against one another."